Hi there. Well, we are in storm watch again. I guess this time you might have even heard about Typhoon Souledor. No need to worry about us. Our buildings and houses are built for this kind of weather! While that’s going on, I’m still working on DIY projects and have some fun ones in store for you next week. Hopefully the storm won’t knock out our internet. 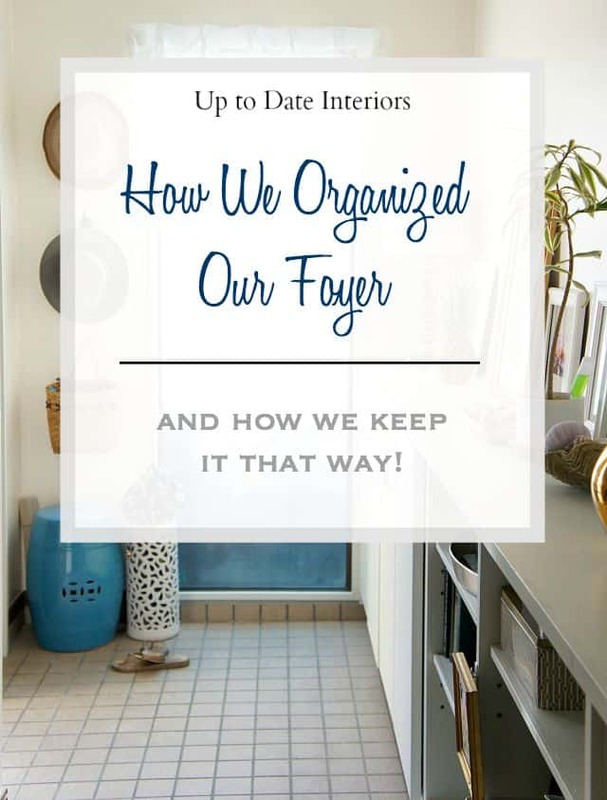 Today, I’m sharing with you how we keep our foyer organized. 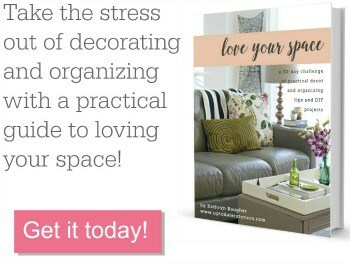 Since we move often, the way we use different spaces also change. 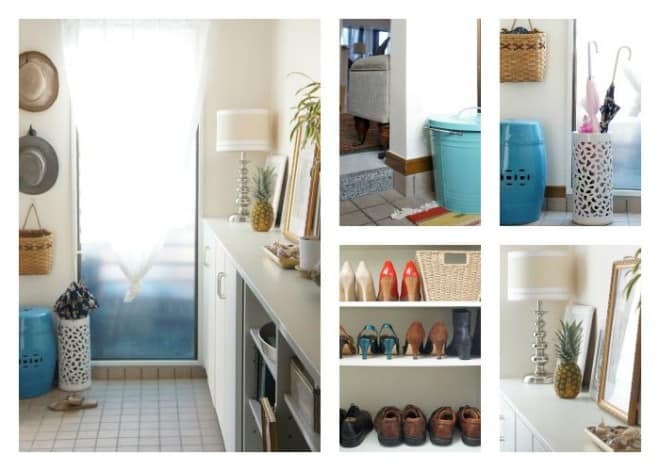 It always takes a few months to really see how we can optimize each room for our specific needs. 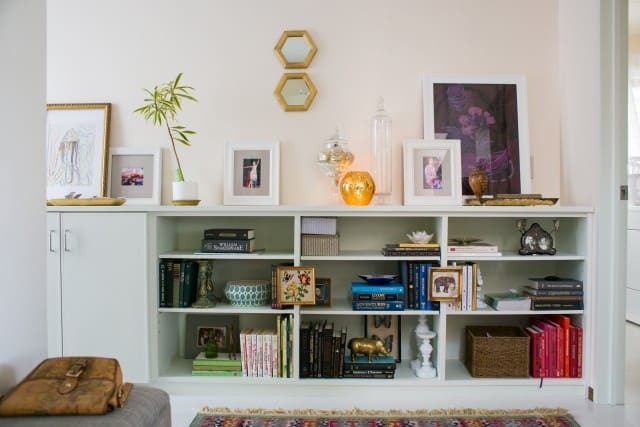 So if you are in a new home, go ahead and put everything in it’s place but then give it a little time to see if you use everything and if there is a better to way to store items. 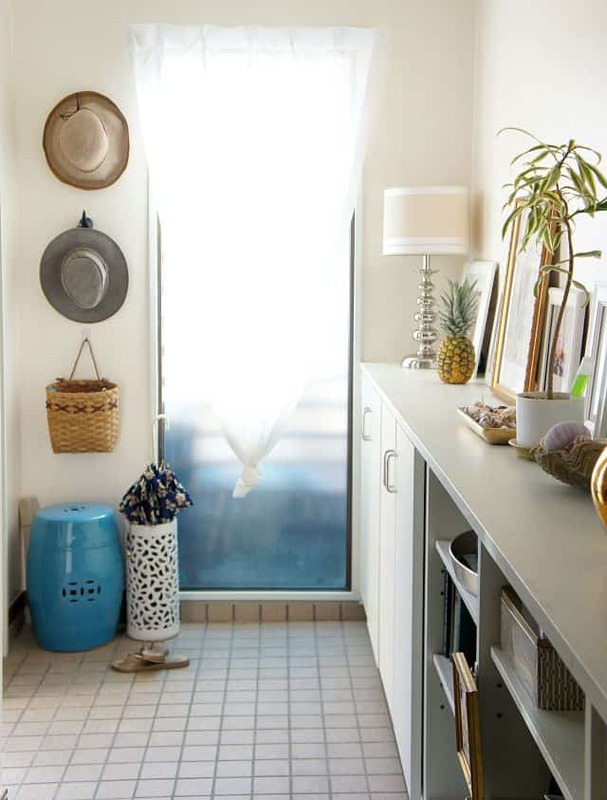 Foyers can be tricky to keep picked up. They tend to be the catch all place for everything that comes into the house. 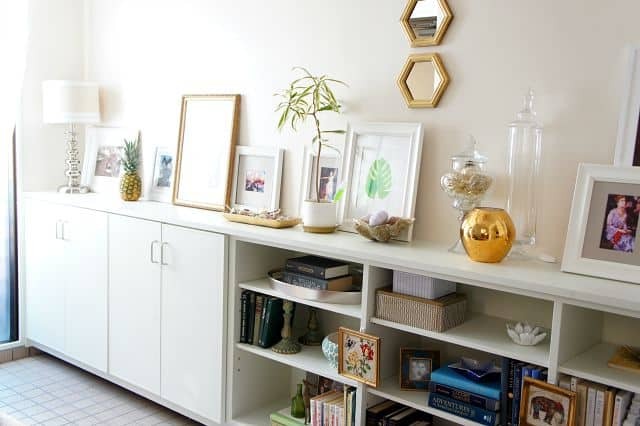 Make sure you have a spot for items that stay in the foyer and a plan of action for everything else. It’s important to make sure everyone else in the house is on board too! 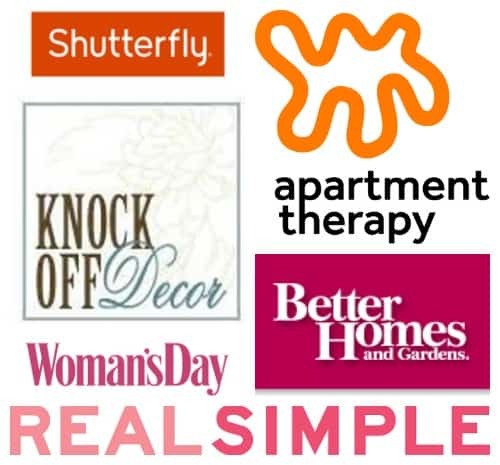 Here are items that every foyer can benefit from no matter how big or small your entrance is. A mirror to check your appearance before heading out. Seating for putting on shoes with ease. 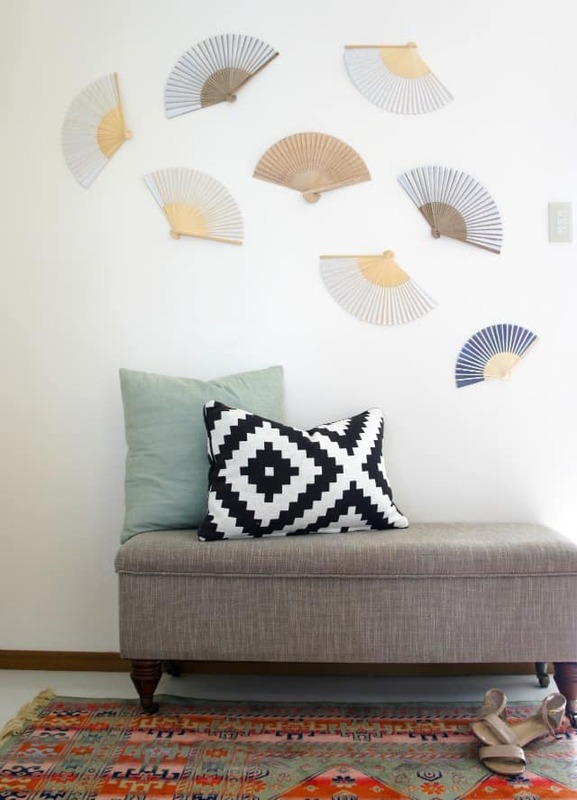 Hooks or a coat rack for seasonal clothing accessories. 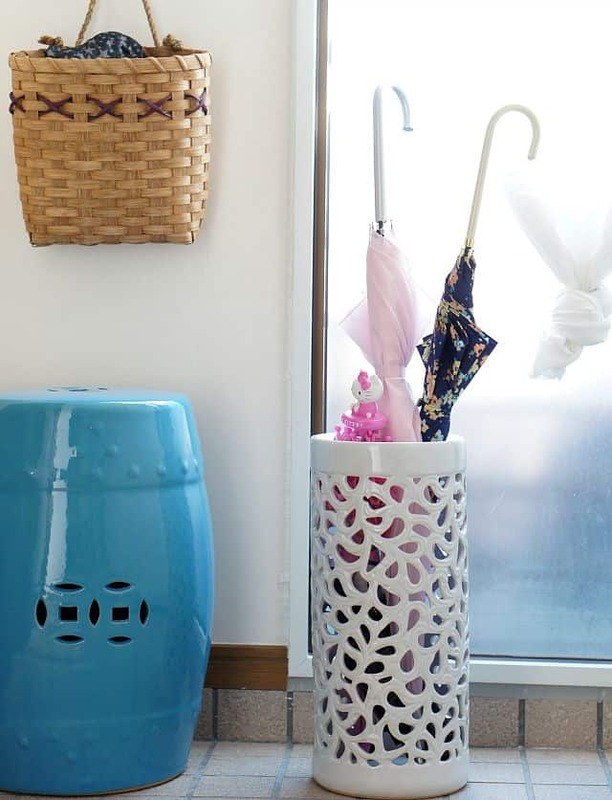 An umbrella stand with a couple of extra umbrellas for guests should the need arise. A dish or container for keys and change. 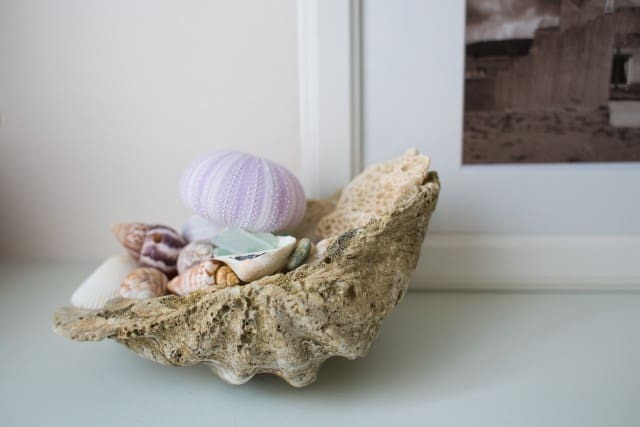 A tray or basket for mail. 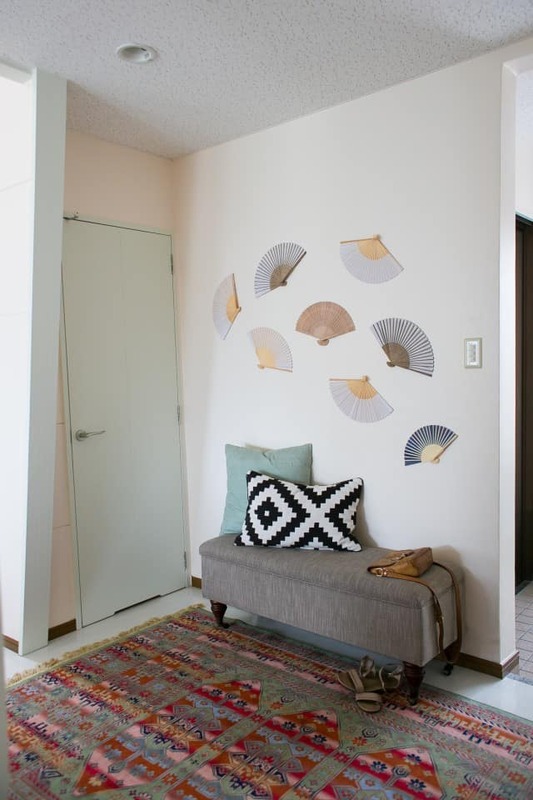 Since we live in a Japanese home, we follow the Japanese custom of removing our shoes before stepping into the living space. 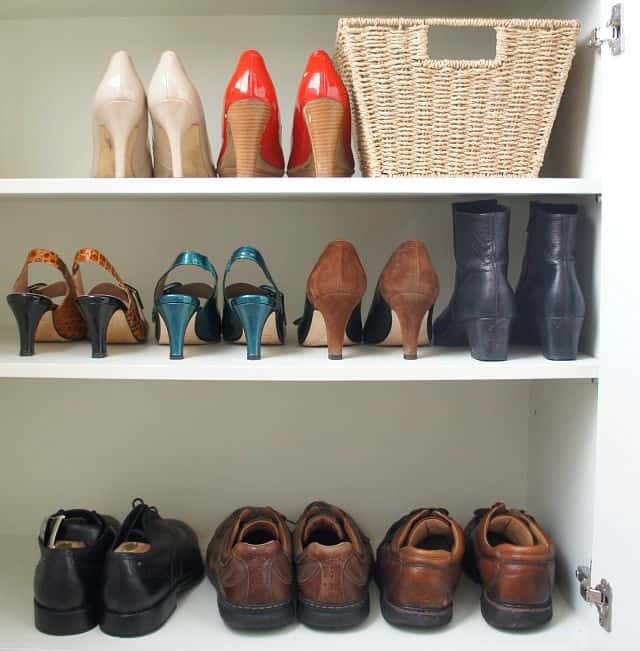 There are great benefits in doing this so I’m already planning for shoe cabinets in our next home! There are hooks at the kids’ level for their backpacks during the school year. Junk mail goes immediately into recycling. 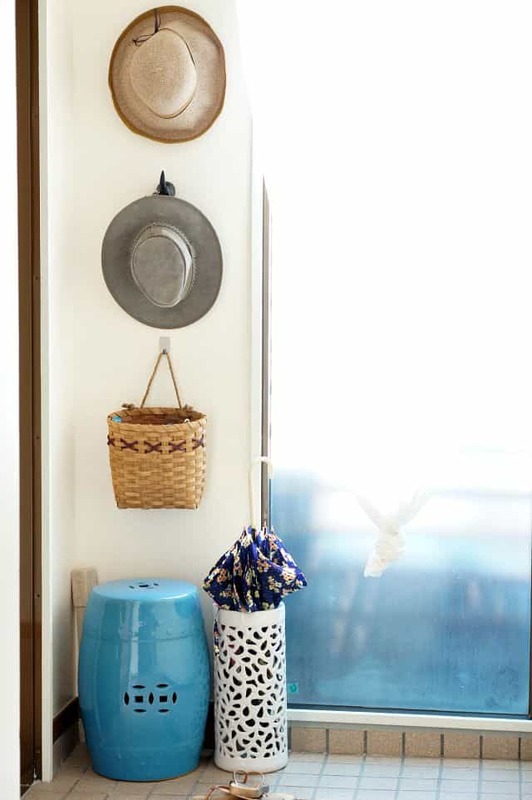 Keeping an extra basket or pretty container near the foyer for junk mail could also keep paper clutter at bay. We have a basket in our shoe cabinet for the dog leash, baggies, and sun screen for easy access when needed. 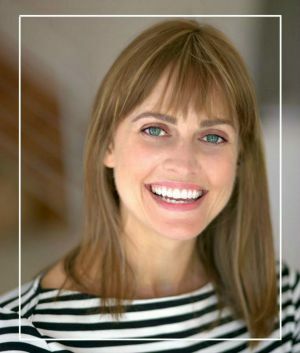 I would love to catch up with you on Facebook, Instagram, and Pinterest! I will have to check out your post! I would love for you share a link. Thanks for asking 🙂 Have a wonderful weekend. 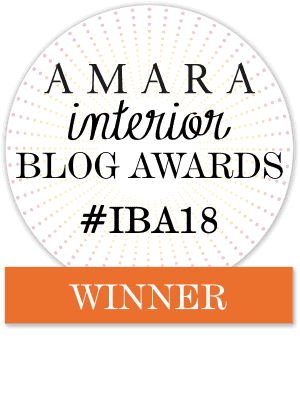 Thank you so much for all the kind comments on my blog. That totally made my day. Thanks, again, for letting me share you post. My pleasure Rebecca. Can’t wait to see more projects from you. Love the idea for having a place to junk mail/recycle. Great tips… I’m gonna steal a couple. Great tips! I need to get our foyer ready for fall and winter when we will have coats and gloves and all those other goodies to stay warm. Also, I just love that blue recycle bin! 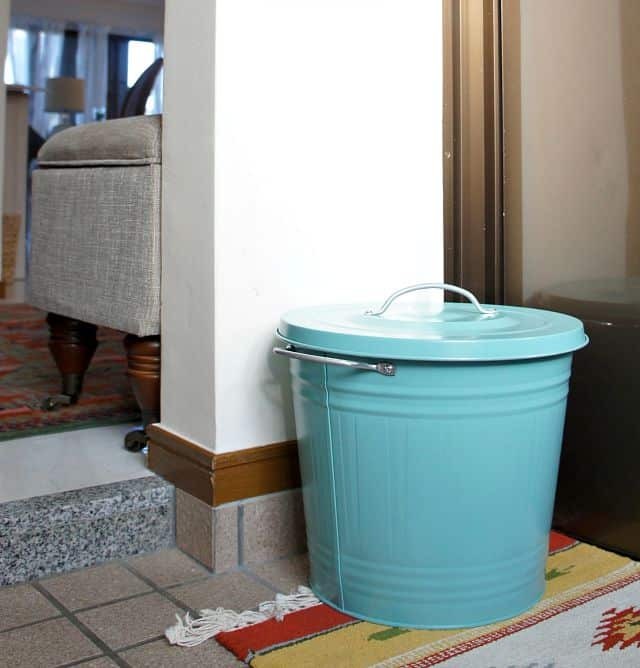 It’s so much cuter than the typical silver trash bins! It’s so pretty! I have barely any entrance way, so I don’t know what to do with it. Maybe a smaller bench? Those are great ideas. I have no foyer at all. 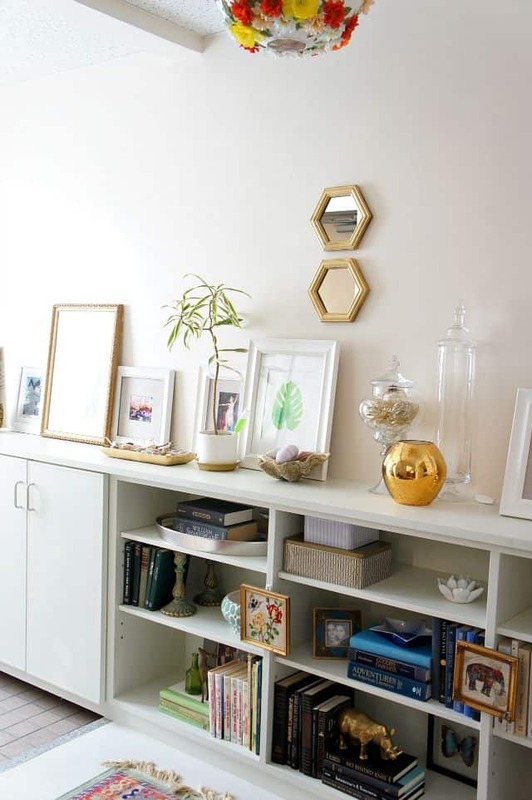 Where can I get the little gold mirrors? I found them at a resale store in VA but they were 80’s outdated walnut so I spray painted them gold! Just $2 each! I bet you could find some thrifted ones!